TAMTBO ANNUAL RYEGRASS TAMTBO is a forage-type annual ryegrass developed for high forage production in East Texas, the Deep South and Mid South of the USA. It can be over-seeded on warm season perennial pastures, or drilled into prepared seedbeds in the autumn. ALFAGRAZE 600 RR ALFALFA AlfaGraze 600 RoundUp Ready is a true dual purpose alfalfa used for both grazing and hay production purposes. ALFOREX HIGEST 360 Alforex Hi-Gest 360 has low lignin technology for improved performance. ALFOREX HIGEST 660 Alforex Hi-Gest 660 has low lignin technology for improved performance. ALFOREX PGI 529 ALFALFA Alforex PGI 529 Alfalfa is for growers who aggressively manage and harvest their alfalfa acres. 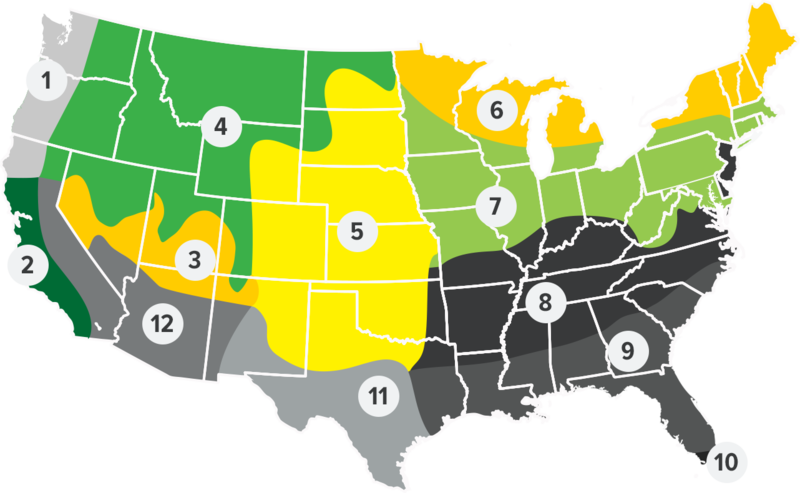 ALFOREX RUGGED ALFALFA Especially well adapted to the northern Great Plains and Intermountain West. Rugged alfalfa fits irrigated or dryland crop management systems. Features bred-in grazing, germination salinity, and traffic/compaction tolerance. AMERISTAND 455TQ RR ALFALFA Ameristand 455TQ RoundUp Ready offers an enhanced forage quality trait with faster recovery time between cuttings resulting in a more productive stand of alfalfa for better livestock performance. Another attribute of this alfalfa, that makes it perform so well, is its comprehensive disease resistance package resulting in a stronger, healthier plant. Ameristand 455TQ RoundUp Ready is inoculated and fungicide treated. GOOD AS GOLD BRAND ALFALFA Good as Gold Brand Alfalfa is a high forage yielding alfalfa with exceptionally high forage quality. Good as Gold Brand is designed for high production soils to push the top end forage yields. It also performs well in dry and naturally rain fed soils. It has a solid disease, insect and nematode resistance package that helps defend itself in adverse environments. Good as Gold Brand comes pre-inoculated and Apron treated. HARVXTRA ALFALFA HarvXtra® Alfalfa gives growers the ability to better manage the yield-versus-quality tradeoff. It offers more flexibility in cutting schedule to achieve improved forage quality or greater yield potential, when compared to conventional alfalfa at the same stage of maturity.